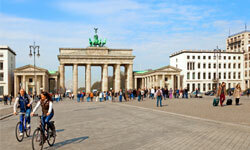 Earn up to 6 credits through a wide variety of courses when you study with AIFS in Berlin, Germany. You may choose to live in a university apartment, and have a single or double room. Enjoy cultural activities such as guided city walks, visits to museums and cultural sites, and cooking classes. 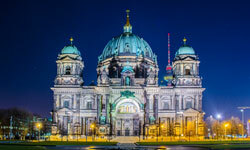 Session one includes a day trip to Potsdam and session two includes a day trip to Dresden. A 3-day optional excursion to Prague is offered is offered during session two as well.